Most fast foods contain high calories but are low in other important nutrients. Therefore, fast food is synonymous with non-nutritious food because there is a minimal positive contribution to health. Because it is identical to the low nutrient content while calories are abundant, excessive consumption of this type of food is not recommended. But because it is known to be cheap, fast, tasty, and filling, so many people like it. Here are some problems that can happen to you if you eat fast food too often. Calculate the number of carbohydrates in fast food that you normally consume. Then, combine with unhealthy fat obtained from the frying process. Not enough to get there, fast food is also usually rich in sugar. Can you imagine how fast food paved your way to obesity? If you only think about how to fill your body, fast food is the right answer. But if you think that you are full accompanied by nourishing your body, fast food is a bad choice. Too much carbohydrate, fat, sugar, and salt, but on the other hand there is minimal protein, fiber, vitamins, and minerals. What if your daily life is only filled with carbohydrates and fat? So be prepared to have a body with minimal nutrition and disease. In children and adolescents, this can hamper their growth. The lack of fiber in fast food can cause constipation, aka defecation. In addition to the lack of fiber, the amount of sodium (salt) that is contained can also cause flatulence and feels sick. This is very possible because salt has the ability to hold water. 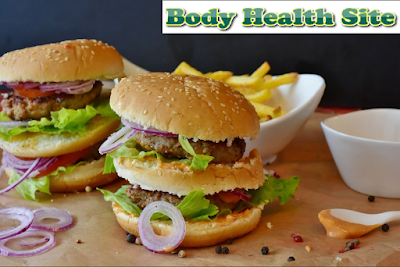 Fast food is not only synonymous with cholesterol and high sugar, but also rich in additional preservatives. The content of these harmful additives can cause memory problems and learning disorders. Research also shows that high-calorie fast-eating habits are associated with an increased risk of dementia. Stacks of carbohydrates and sugar that are rich in calories will make blood sugar levels soar. A surge in blood sugar that is too often will certainly make insulin production go along soaring. Over time this will interfere with your normal insulin production so that it leads to diabetes. Saturated fats commonly found in fast food can increase levels of bad cholesterol (LDL) while lowering good cholesterol (HDL). Combined with excessive salt consumption which can increase blood pressure and the workload of the heart. As we know, high cholesterol and high blood pressure are the main causes of heart disease and stroke. Fast food makes you more easily obese. If you are obese or just overweight, the risk of respiratory problems will increase. Difficulty breathing is the most common thing that occurs in obese people. Obesity makes it easier for a person to experience sleep apnea and asthma. Bacteria in the mouth will produce excess acid if you consume lots of carbohydrates and sugar. Excess acid will damage the protective layer of the teeth. If the tooth is damaged, then some diseases will be easier to approach. When the stomach is hungry, we certainly want to immediately fill the stomach with food, including fast food. Therefore, make it a habit to make healthy food menus that can complement your nutritional adequacy, so you don't need to eat fast food when you're hungry. Add the food menu with fruit and vegetables, so that fiber needs can also be fulfilled. Change your drink from carbonated drinks to pure fruit juice, low-fat milk, or mineral water. When the body starts to get hungry, or before hungry, drinking water will reduce hunger so the urge to taste fast food will disappear. Fried foods are rich in saturated fats, to reduce them for health. Everything, if consumed in excess, will be less good for health. Similarly, fast food, as long as it is within normal limits, the risk of health can still be tolerated. But if you already have a poor health condition, avoid eating fast food as much as possible. 0 Response to "What you get from Fast Food"